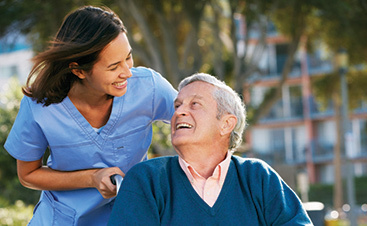 What Are Home Healthcare Services? We want the best for our loved ones; that’s just the nature of caring for others. Sometimes that means going out of our way to make a special meal or find the right school to provide your child the best education possible. As parents, guardians, family, and friends, we go to many lengths both big and small to express our love for those we care about. Unfortunately, sometimes we just don’t have the skills or knowledge to provide the best level of care. This is especially true for the family and friends of special needs children. Of course, the lack of skill does nothing to negate our desire to help, which is when we have to turn to others who have the requisite knowledge and skills to provide the help we can’t. If you have a special needs child or an elderly relative who needs extra care that you aren’t quite sure how to provide, home healthcare may be the best answer to filling in those gaps. Simply put, home healthcare is exactly what it sounds like: a wide range of healthcare services brought to your home by a trained medical professional. At Evergreen Home Healthcare, we offer a wide range of medical and therapy services, provided by compassionate and highly-trained medical professionals, in the comfort of your home. We provide both adult/elderly and pediatric home healthcare services so your loved one can get the care and personal attention they need no matter their age. 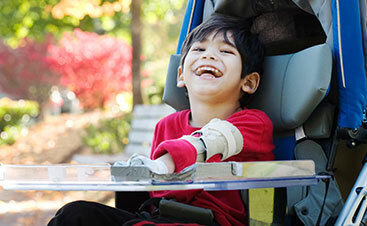 At Evergreen Home Healthcare, our in-home care services are not limited to the elderly or only special needs children. We offer acute home care as well as long-term services, so if you have a child recovering from surgery, we can provide in-home rehabilitation and physical therapy as well as ongoing medical care. This means that, depending on the situation and your doctor’s okay, you can take your child home to recover from a lengthy illness or recovery from surgery at home and the medical attention they need can come to you. This may mean a couple weeks during which a home health aide comes to your home and administers medication for you or it could mean a few months worth of rehabilitation or physical therapy to help your child recover. All the medical care services we provide on an acute basis can be scheduled for an ongoing or long-term need just as easily. In addition to medical care, we can also bring therapy services to you. If your special needs child ought to be working with a speech therapist or occupational therapist a once or twice a week, but time or transportation are issues, don’t let that prevent your child from getting the individual attention they need. At Evergreen Home Healthcare, we work closely with speech, occupational, and physical therapists so we can send the right therapist to you. Even if time and transportation aren’t a problem for you, it may be more beneficial to have pediatric speech therapy, physical therapy, or occupational therapy performed in your home rather than going to the therapist’s office. Many special needs children are more receptive to therapy exercises when they happen in a familiar and comfortable environment. 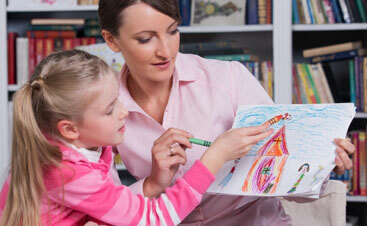 Get a therapist who comes to you so your child can receive the assistance they need somewhere they feel comfortable. Any of the pediatric home healthcare services we mentioned above can also be provided for adults with special needs as well as elderly family members. We recognize that elderly loved ones who need home healthcare may not need the same attention as a child with special needs. For some elderly patients, what they need most is a bit of assistance with personal hygiene and home ambulation. A home health aide can keep your loved one company, offer assistance with personal care, and help with home modifications to make getting around easier. 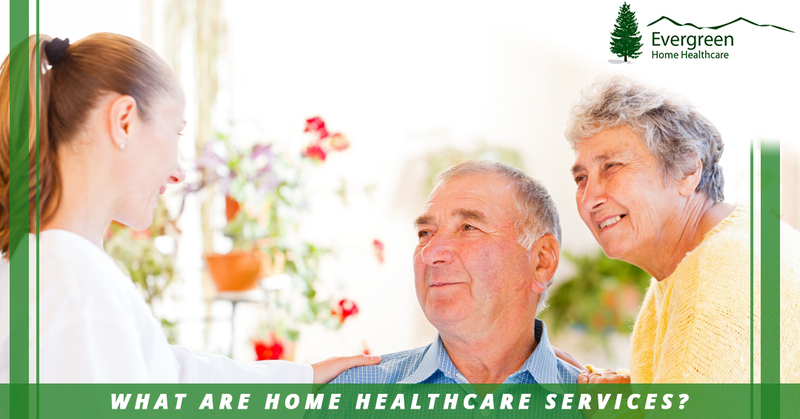 If you have a loved one who would benefit from home care services, no matter what level of care is needed, contact Evergreen Home Healthcare. We offer home care in the Denver area and Fort Collins, so give us a call or submit a contact form online to get your loved one the healthcare attention they need at home!